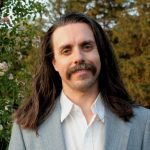 Scientists at the University of Connecticut recently published work in Nature Communications (Lees-Shepard et al. 2018, NatComms 9, 471) that describes the discovery of the cell type that is responsible for fibrodysplasia ossificans progressiva (FOP), a rare genetic disease in which skeletal muscle tissue and connective tissues, such as tendons and ligaments, are gradually replaced with bone. 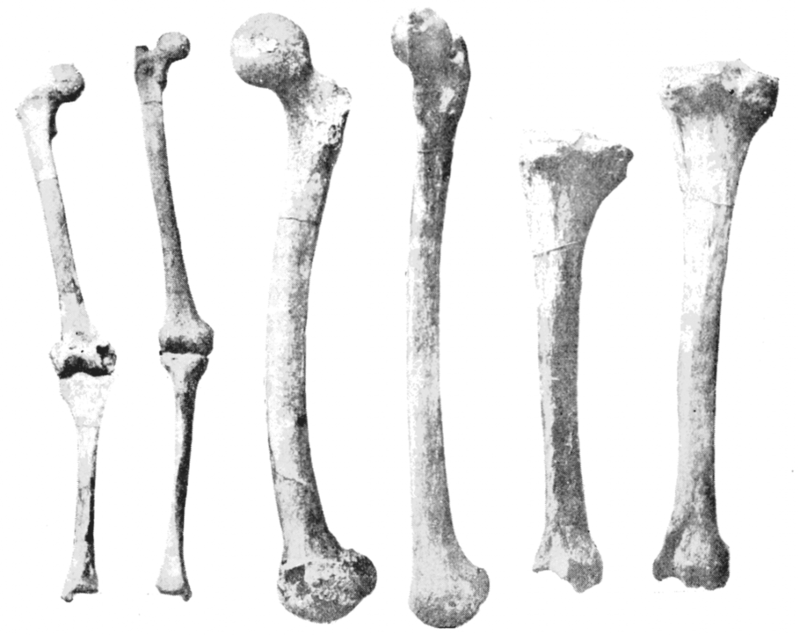 This bone growth, which is called heterotopic ossification (bone forming in the wrong places, separate from the normal skeleton), can be triggered by minor bumps encountered in everyday living, by immunizations, dental work, and other minor tissue damage that is inconsequential to normal individuals. In addition, new bone lesions often occur without known triggers (this is sometimes called spontaneous heterotopic ossification). Disease onset typically occurs in early childhood and bone formation is progressive and cumulative. There are no approved disease-altering therapies for FOP, and unwanted bone cannot be removed surgically, as this will trigger new explosive bone growth. FOP patients suffer progressive and life-long severe disability as a cumulative consequence of broadly distributed abnormal bone growth. This “secondary skeleton” interferes with skeletal muscle function and results in the locking of major and minor joints, spinal fusions, and other complications that together dramatically decrease the quality of life, interfere with activities of daily living, and result in premature death. 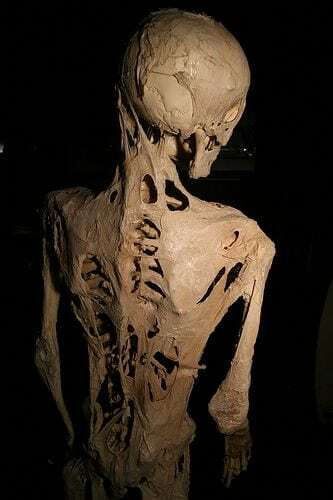 Because of the body rigidity and immobility caused by the encasing secondary skeletal, FOP is sometimes referred to as Stone Man Syndrome. In 2006, the genetic cause of FOP was discovered by researchers at the University of Pennsylvania School of Medicine. Remarkably, in their landmark study (Shore et al. 2006, Nature Genetics 38: 525), and in follow-up clinical studies by several groups, it was determined that the overwhelming majority of FOP cases are caused by a single amino acid change in the cell surface receptor ACVR1. Almost a decade later, independent research teams at Regeneron (Hatsell et al. 2015, Sci Transl Med 7: 303) and Kyoto University (Hino et al. 2015, PNAS 112: 15438) made the groundbreaking discovery that in FOP, a normally inhibitory protein, activin, instead becomes a powerful stimulator of the mutated cell surface receptor. When activin protein in the tissue environment binds to the mutant receptor, molecular signals are transmitted to the interior of the cell, instructing the cell to make bone. Until recently, however, the identity of the cells responsible for the disease was unknown. Identification of the disease-causing receptor allowed University of Connecticut researchers to use genetic engineering to produce mice that carry the identical FOP mutation. Using cell marking methods (sometimes called lineage tracing) together with cell sorting techniques, the research team identified the culprit, a cell known as the fibro/adipogenic progenitor (FAP). Remarkably, FOP mice that express the mutant receptor specifically in FAPs recapitulate all major aspects of human FOP, including both injury-induced and spontaneous disease, and heterotopic ossification at essentially all anatomical sites described for FOP patients. The involvement of FAPs in FOP was unexpected, as FAPs, which had been independently identified in earlier studies, were well known for their ability to make connective tissues and fat, but their robust bone-forming capacity was not known. Under normal physiological conditions, injured skeletal muscle has an enormous capacity to regenerate, which restores its normal structure and function. Regeneration is mediated by muscle-specific stem cells called satellite cells, and some evidence indicates that the normal physiological function of FAPs is to facilitate satellite cell-driven regeneration. In FOP, however, the developmental trajectory of skeletal muscle is altered such that injury stimulates new bone growth rather than eliciting a robust muscle regenerative response. Investigators are now trying to understand how a single amino acid change in a receptor expressed by FAPs instructs them to make bone and how this cell reprogramming inhibits the muscle regenerative process. If researchers can understand this problem in developmental biology, they may be able to intervene therapeutically with targeted, cell-specific therapies that block the pathological course that FAPs adopt in FOP. While heterotopic ossification reaches its most extreme form in FOP, it can also result from certain types of soft tissue injuries and surgeries. In fact, in the general population, epidemiological studies have estimated a 10-20% incidence of heterotopic ossification following traumatic injury, and injuries as varied as central nervous system damage, deep tissue sports injuries, total hip replacement, and burns are apparent triggers. In addition, among military personnel, heterotopic ossification is a well-described and common consequence of blast wounds to the extremities. Although additional research is required to determine the extent to which FAPs are responsible for these non-genetic cases of heterotopic ossification, it is anticipated that lessons learned from studies of FOP and FAP biology will be more broadly applicable to heterotopic ossification in the general population. These findings are described in the articles entitled, Stem cells and heterotopic ossification: Lessons from animal models, recently published in the journal Bone (Lees-Shepard and Goldhamer 2018, Bone 109, 178) and Activin-dependent signaling in fibro/adipogenic progenitors causes fibrodysplasia ossificans progressiva, recently published in the journal Nature Communications (Lees-Shepard et al. 2018, NatComms 9, 471). 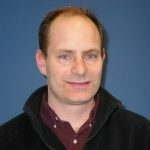 The work on cells responsible for FOP was conducted by the research team led by David J. Goldhamer from the University of Connecticut. I have extensive experience identifying key regulators of musculoskeletal disease and leveraging this information to elucidate novel therapeutic targets. As a postdoc, I managed numerous successful Academic-Industry collaborations aimed at drug discovery and development in rare disease research. In these preclinical trials, I led a dynamic team of scientists to develop and standardize a suite of high-throughput in vitro and medium-throughput in vivo assays to rigorously test prospective therapeutic candidates. These studies identified novel targets for disease intervention, established key adverse effects, and determined the critical window of therapeutic efficacy for distinct treatment modalities, one of which has advanced to Phase III clinical trials. During my doctoral work I collaborated with researchers at Yale and Michigan State to establish distinct anabolic and catabolic roles for EGFR signaling in osteoarthritis. These pioneering studies provided the conceptual framework for developing solubilized receptor isoforms to inhibit inappropriate EGFR activity in adults. In a complementary approach, we activated anabolic pathways in hESC’s to enhance their regenerative capacity following transplantation into murine arthritis models.